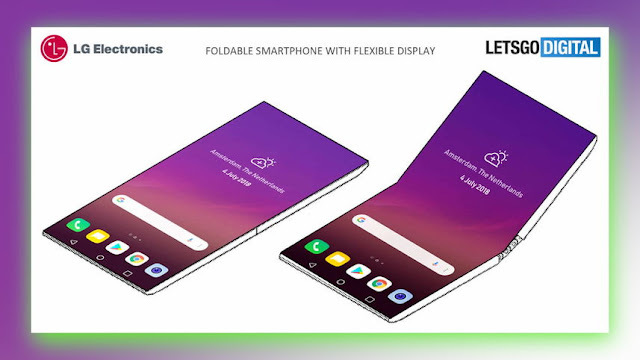 After Samsung, its South Korean rival LG has now hinted at launching a foldable smartphone, the media reported. The smartphone maker has applied for three brand name registrations -- "Flex", "Foldi" and "Duplex" -- at the European Union Intellectual Property Office (EUIPO). As per the reports LG foldable smartphone coming next year. "All three applications are categorised in Class 9 that includes smartphones, so it's a pretty safe bet that LG is claiming these names for any future devices it makes, foldable or otherwise," Engadget reported late on Friday. However, it was not clear if the names would be used for a smartphone or any other device. "The first two, 'Flex' and 'Foldi', are pretty straightforward and in sync with Samsung's Galaxy F and Huawei's Flexi/Flex trademarks. "'Duplex', on the other hand, is an interesting choice by LG, especially considering that Google is using the word for its AI call-making feature that just started rolling out to users," PhoneArena reported. Samsung aims to launch its first foldable smartphone in March next year, along with a fifth-generation (5G) network-powered Galaxy S10. The South Korean tech giant plans to unveil the flagship Galaxy S10 smartphone in February, followed by the foldable Galaxy F and another edition of the Galaxy S10 that runs on the 5G network in March. The company filed the applications earlier this week on November 21 and all the three applications were registered for class 9, which includes smartphones. So, it's safe to assume that the company is inching closer to introducing its foldable display smartphones in the public space. In the past year, LG has filed a number of patents that indicate that its own smartphone, whenever it is unveiled, will work in a way that is similar to the Samsung Galaxy X, glimpse of which the company gave recently at the Samsung Developers Conference. Patents filed by the company for its foldable display smartphone indicate that it would feature a borderless design and that it will turn on when the display is unfolded and turn off when the displayed is folded. This would also help in saving the precious battery life of the phone. Furthermore, the patent has indicated that the device would come with two speakers and two mics that would be placed on the top and bottom side of the phone under its seamless display. The camera would be located on the outer display of the phone in the middle of the screen closer to hinges. This in turn would enable users to capture images even when the phone is closed. Foldable screen smartphones seem to be the next big innovation in the tech industry. Many companies including Huawei, Apple, and Xiaomi are working on the format. Meanwhile, Huawei has also filed an application at the EUIPO to register four names- Huawei Mate Flex, Mate Flexi, Mate Fold and Mate F. Interestingly, just like LG, Huawei's application is also registered for class 9, which indicates that the company could be using these names for its own foldable display smartphones.